This is the final article in a series of pieces that, together, annotate my Map of the Social Age for 2019. These pieces simply mark a dozen points in the landscape that seem of particularly important to me at this time: it’s not a definitive view, but rather builds upon my maps from previous years. Today, i want to consider the nature of Change in the context of the Social Age, and to understand how mastering it may require us to give away more than we gain. Change is constant in the Social Age: it’s one of the foundational features of our time and will require us to adapt, both personally, and institutionally, to thrive. it’s not that we have not faced change before: history is a story of change, and told by the winners, but the nature of change is both more systemic, and faster, at greater scale, than we have seen before. 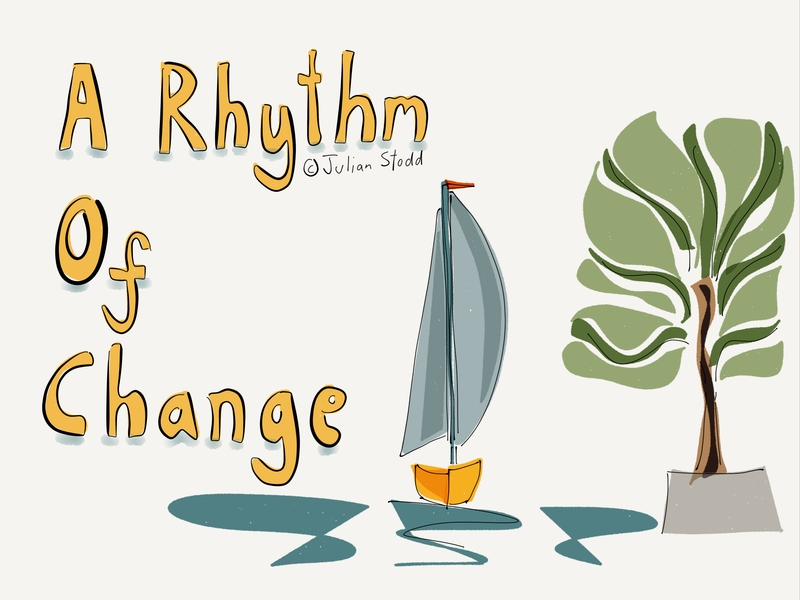 This is always a dance: systems change, and Organisations adapt. Expectations evolve, and Organisations adapt. Markets change, and Organisations adapt. And some fail. The selective pressures of history, at least for the last few hundred years, have been ones initially of collectivism, centralisation, codification, and scale, followed by globalisation, agility, and optimisation. The Industrial Age built off resources, and critical mass, to centralise both manufacturing, and expertise, and then the Knowledge Age decentralised manufacturing, extended supply and value chains, and created a currency of knowledge itself. This led us to the monumental, Domain Based, Organisations of today: structured, codified strength, supported by systems of education, supply, and habitation, that serve their needs. But since this codification, two key things have changed: technology has both proliferated, and democratised, and hence social conditions have evolved, and our underlying modes of social organisation have fractured and reformed, in response to the betrayal of generational applications of ‘HR’, and structural change that has had a cost paid almost entirely by employees, through redundancy and wage freeze. We exploited the system, and the system is adapting. Domain based Organisations could certainly change, but they did so through formal programmes, and structural rework, and the cost, where it applied, applied unevenly. The Social Contract, the one that exists between the Organisation, and the society that it serves, was fractured in the process: it’s not that Organisations are ‘bad’, but it is that they cannot be trusted, over time. Their primary drivers of value creation and profit are not bad, but the distribution and underlying networks of loyalty and inequality often are. The challenge lies in the fact that we now exist in a dual track system: we are functionally invested in a job, and socially inhabit the Organisation. 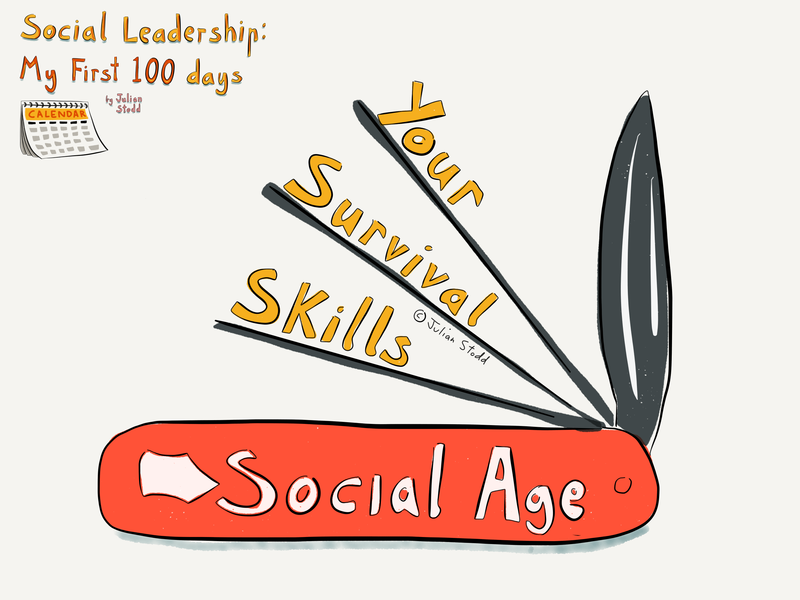 Organisations can change the job, but only we, and the community, can evolve the social Organisation. Constraint, the inability to change, lies not simply in the complexity and weight of the formal Organisation, but rather lies in the complex social forces of identity, belief, trust, tribes, and purpose, of the Social one. Formal Organisations, Domain based ones, can change, but only through the expenditure of great effort, both financial, and intellectual, and often through inputs from external ‘consultancies’. And yet they change almost nothing, except the shape of their physical footprint. Changing the Social Organisation is a collaborative and co-creative effort, where everyone gets their say. If you want change, in the context of the Social Age, then we have to change everything, starting with ourselves, and followed by the type of Organisation that surround us. A Socially Dynamic Organisation will carry phenomenal formal strength, like the Domain based Organisations of the past, but it will carry a different DNA within it: not the ability to transform through effort alone, but rather the ability to change constantly, through consensus and engagement. Domain based Organisations become exhausted through change, and by constant change, they become breathless, whilst a Socially Dynamic one does not, because it never had the massive formal constraint to begin with. It never fully codified it’s own strength, so it never needs to undo it. It’s lightweight, scaffolded, reconfigurable to need: it does not have a strong capability held as a change function, but rather is a community that is interconnected, and can effortlessly adapt. Because it has put in place the conditions to do so, starting with a willingness to relinquish outdated control, and to distribute capability and leadership. When change is such a constant feature, we cannot afford to become exhausted by it. For individuals, especially leaders, we need to build our capability around us, with our engaged communities, and our support of those communities. It is ‘community’ that will help us to find our answers, and within our communities that our primary cultural alignment lies. Social Leaders will build strong SEED Communities (an idea i’ve carried forward from my thinking about the Organisation as a forest ecosystem): not communities that hold answers, but rather those in which we may find, or grow them. And crucially, they will hold a strong ability to interconnect between communities, to write stories not simply of consensus, but of opposition and dissent. Part of the strength of Social Leadership is the way that it crosses over these barriers: it’s not a tribal strength, held within a local community, but rather a humble and global one, held between multiple communities. In this context, Social Leaders help Organisations to change not because they can push a formal narrative through the system, but rather because they are able to hear the weak voices within the system. They are connected to the true zeitgeist of the global culture. To lead in this context of change will require certain key skills: to listen more than we talk of answers, to connect beyond the simple and similar, to create space for difference, not just consensus, and to find comfort in ambiguity and uncertainty. In the Social Age, change is constant, and if you are breathless, you are already failing. Resilience lies in our social systems, not simply in greater formal strength. If it’s really hard to change, then you are sub-optimised, trapped with the wrong strength in the wrong system. Build SEED Communities, spaces to ‘make sense’ of weak signals and broad trends. Find comfort with ambiguity: look at how it is held, and what the typical immune responses are. Build a new type of Organisation (ok, that may feel like a big ask…), but start with the first step. Look at your own space, and consider where you need to stand next: then take that step. This entry was posted in Change, Social Age and tagged Cartography, Change, Community, Leadership, Map, Social Age. Bookmark the permalink.